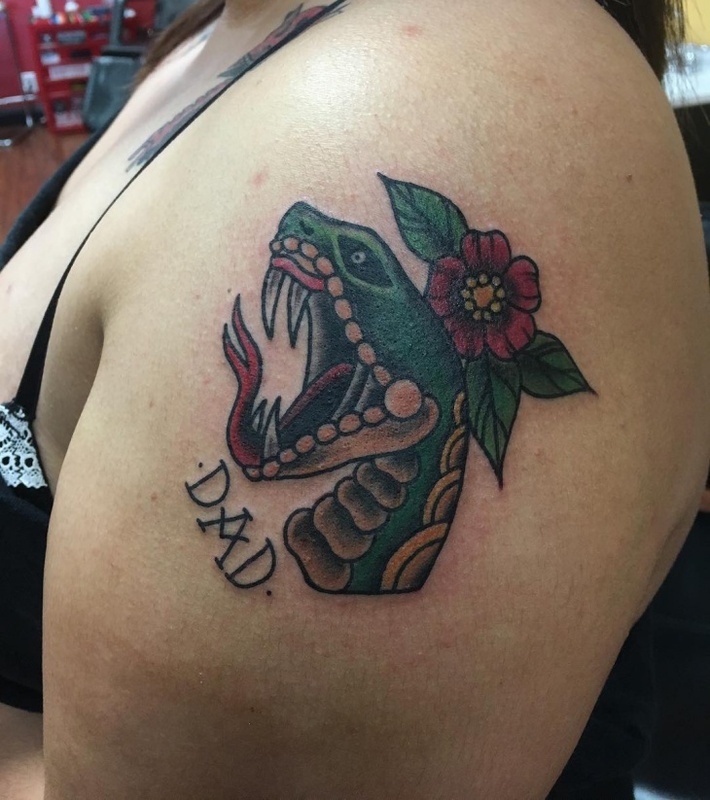 Don’t we all love tattoos? 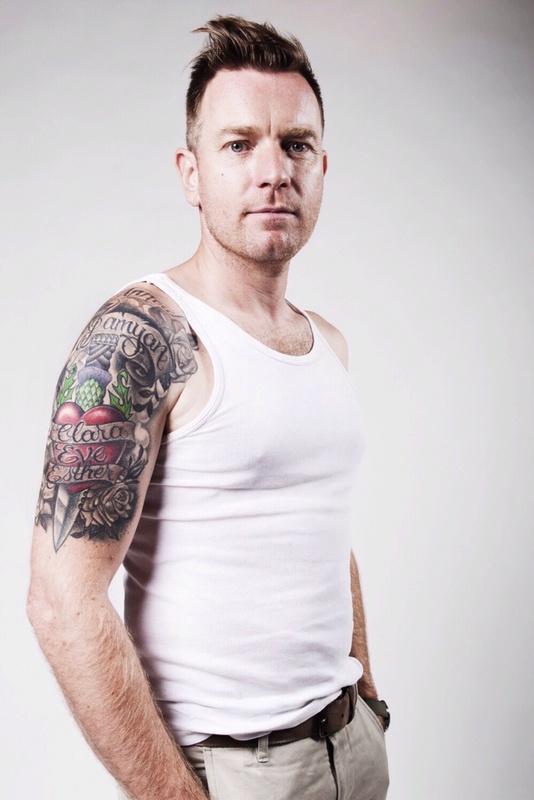 Tattoos can be good to look at but for the person getting it done, it should have some value and meaning. Usually, people get it done to depict something or to show how much they adore something or relate to a particular ideology or concept. 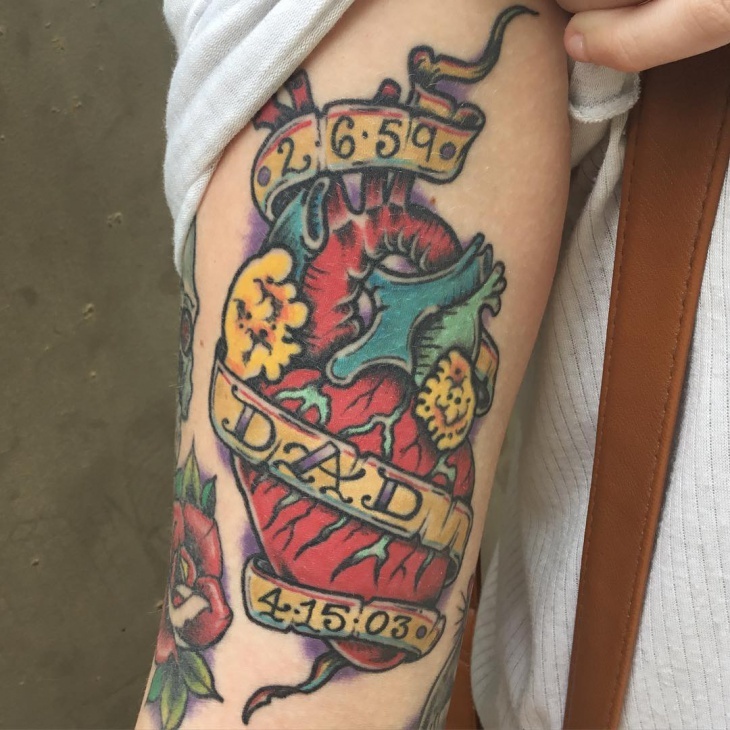 Here are 10 tattoos based on their emotional connection with their loved ones. 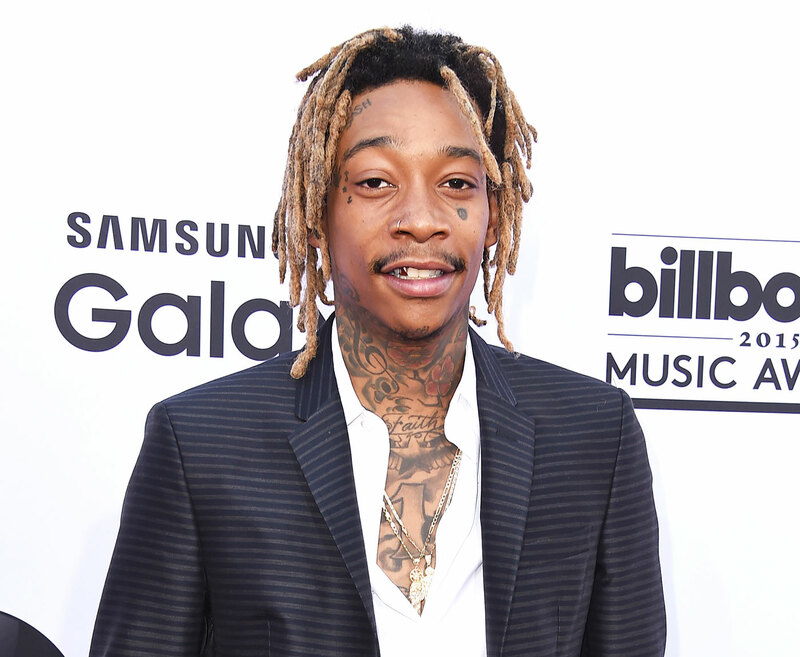 Well, Wiz Khalifa does have a special bond with his son. 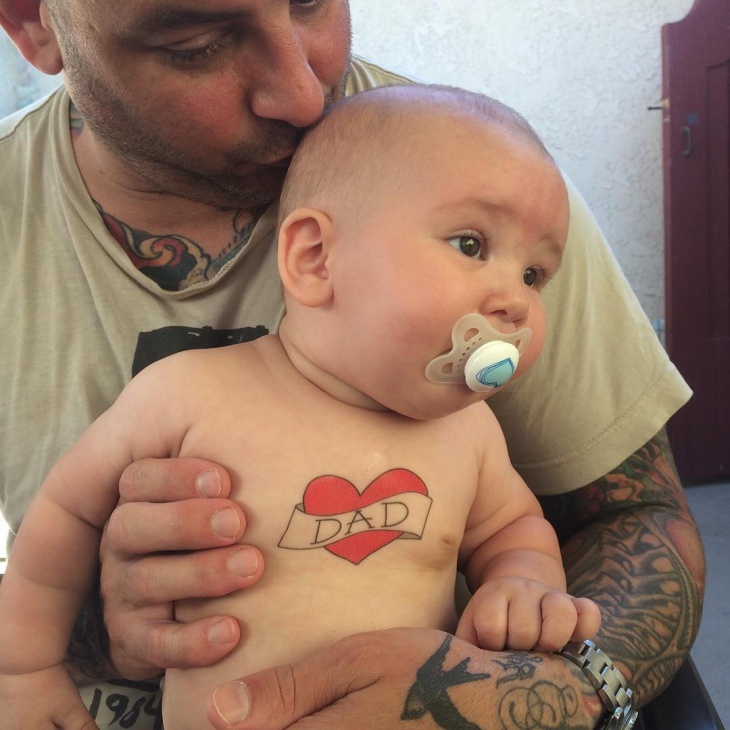 His son’s name tattooed on his forehead shows all the love he has for his son. 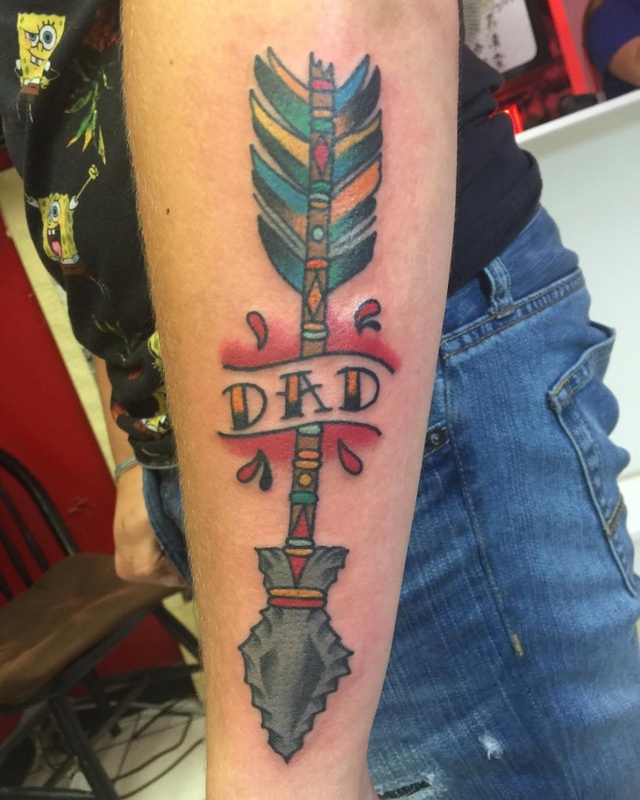 We do love how the tattoo is designed and the placement is something different from what people usually get. 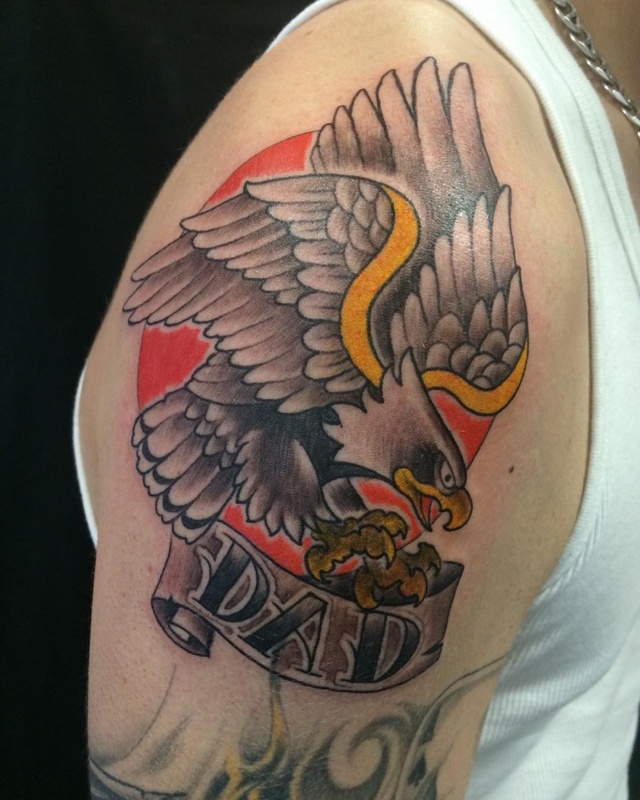 Johnny Depp’s tattoo is placed on his chest and symbolizes the closeness of the bond. The tattoo is designed so beautifully and the R of Rose is designed in a very artistic way. 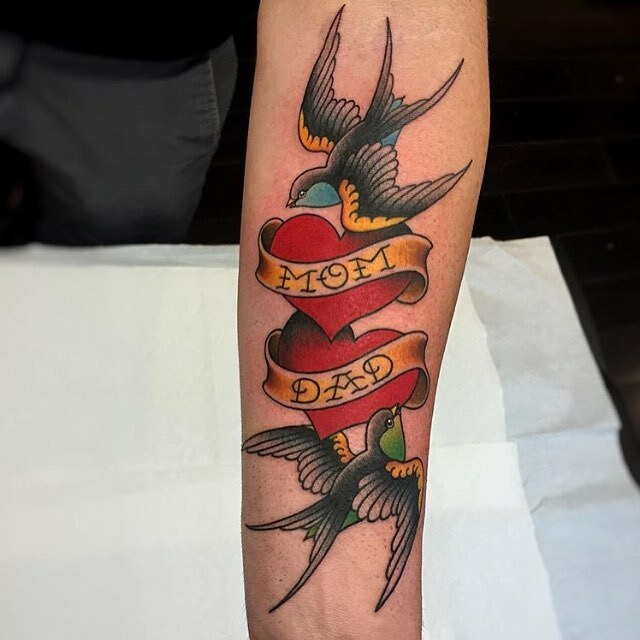 Wrist is the most painful part to get tattooed but if it is for your dad, anything is fine because you are and always will be ‘Daddy’s Little Girl’, like Priyanka Chopra. 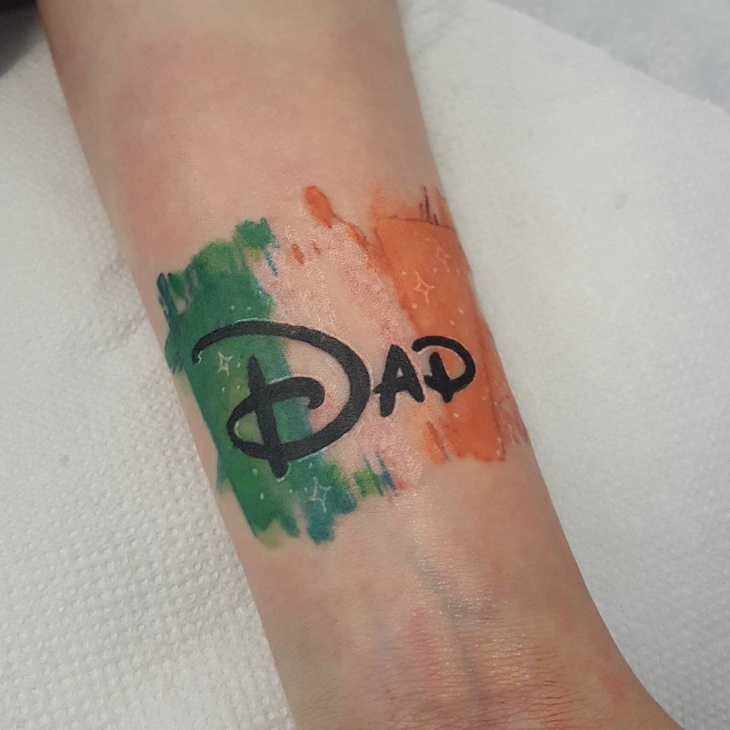 What makes the tattoo more special is that it is Priyanka Chopra’s father’s handwriting that she got inked on her wrist; permanently sealing his mark on her. 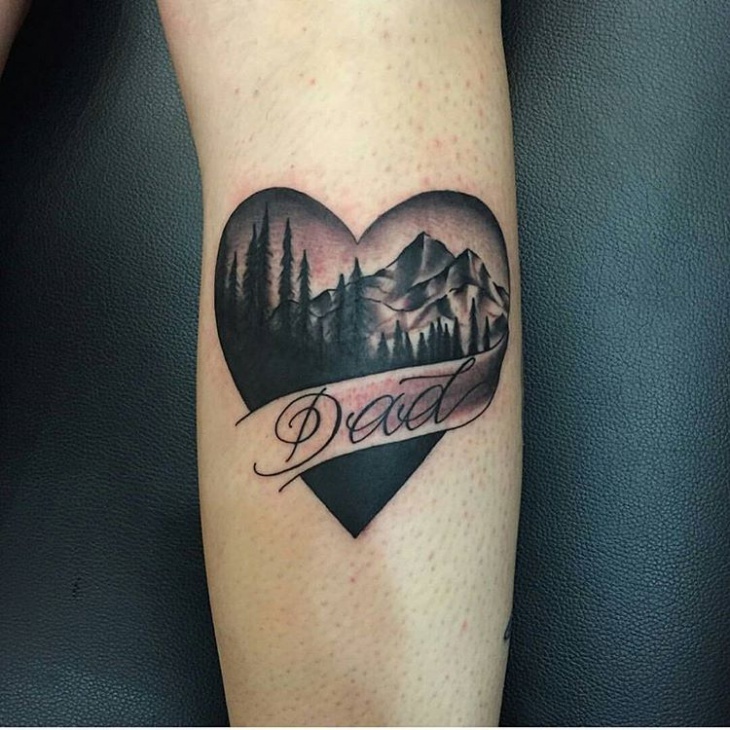 The tattoo shows a fully sketched heart that has the word dad written in it along with the dates to honor the memory. It symbolizes pain and intensity. This is a very beautiful design, which caught our attention. 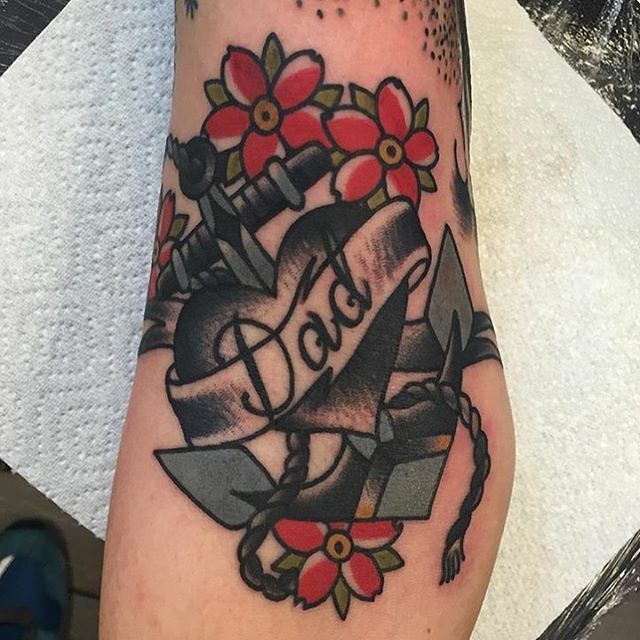 An anchor in black with red flowers and the name dad tattooed right in the middle looks so visually appealing. 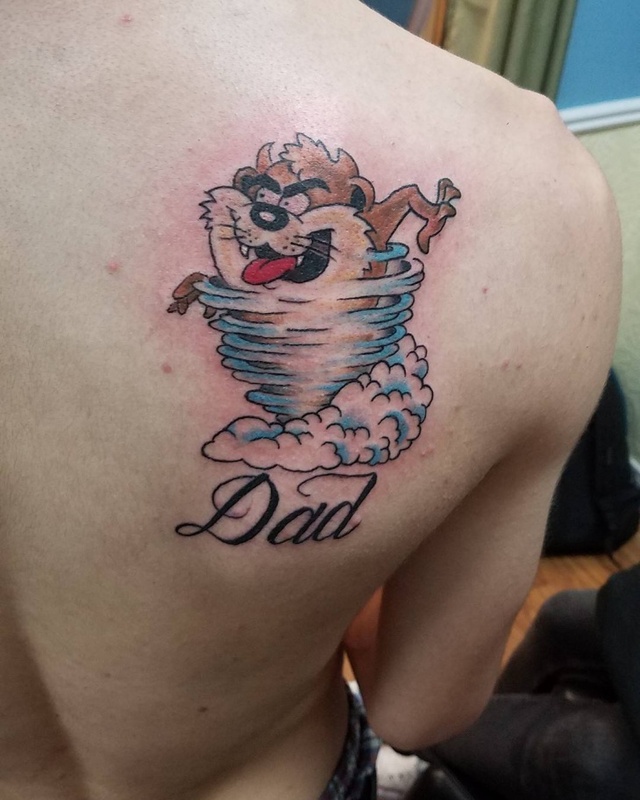 Even the shading on it is done to perfection. If you are someone who does not want too much design and shading or a lot of colour, this is the perfect design for you. 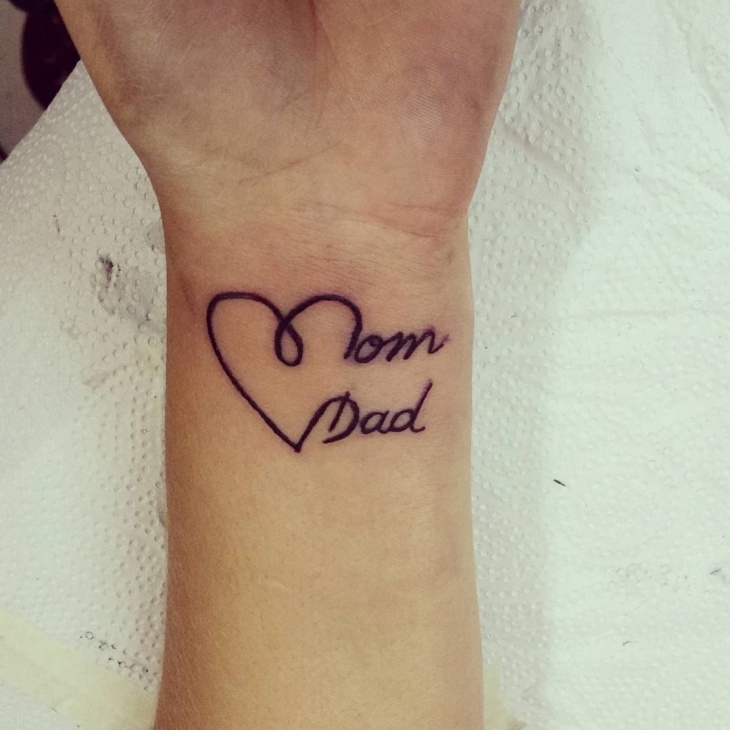 A simple heart with minimal shading and the heart extend out to be mom and dad. 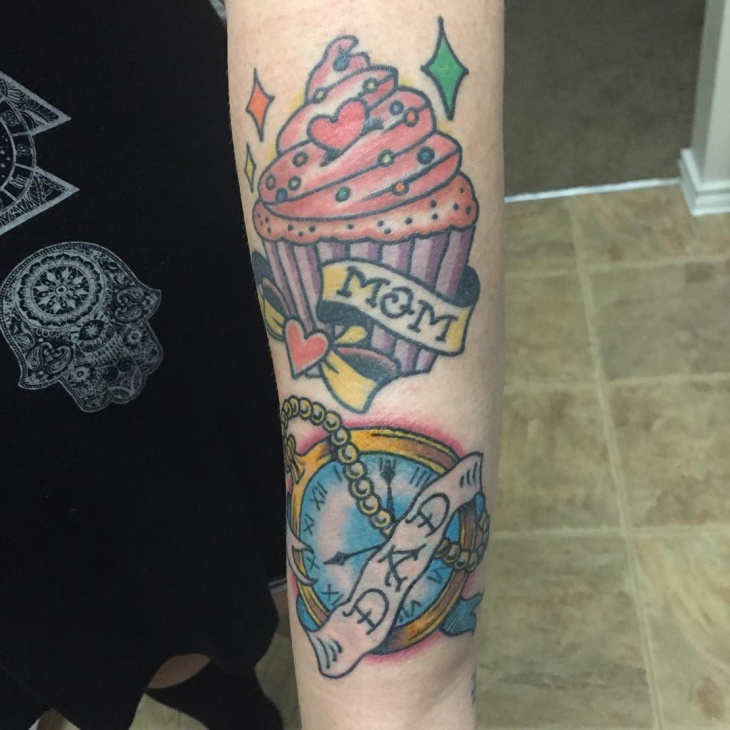 We simply love this tattoo. 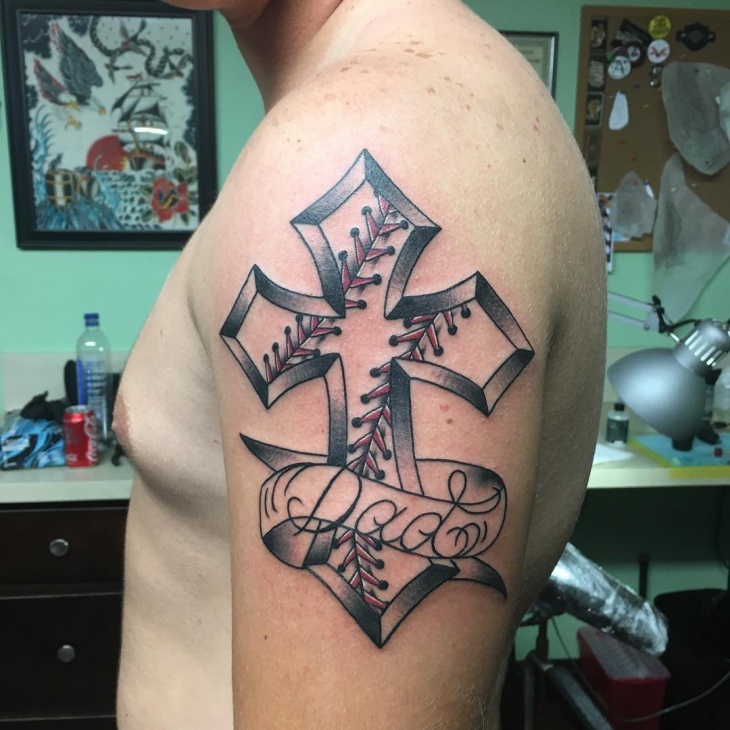 We have seen a lot of cross tattoos but we haven’t seen something this big. 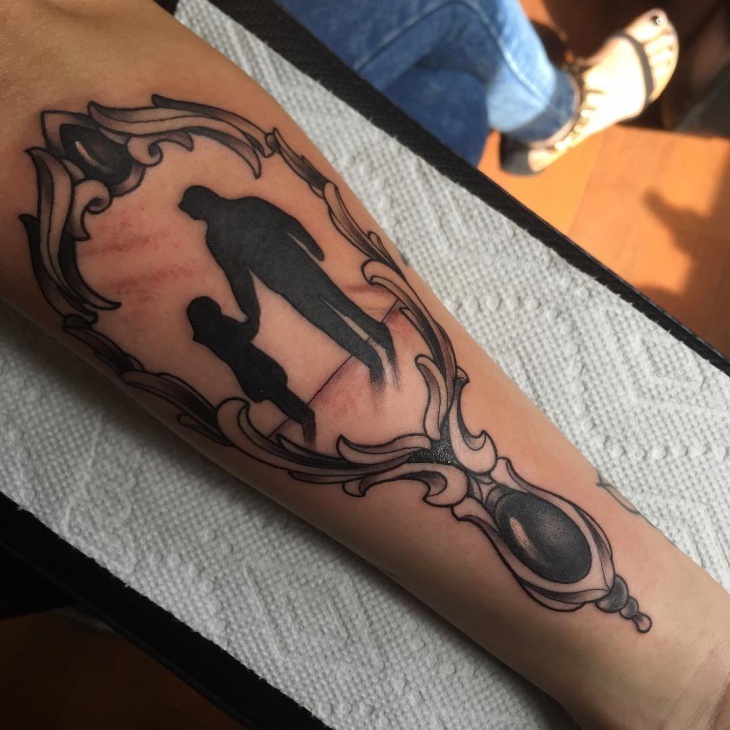 This tattoo is big, beautiful and nice. 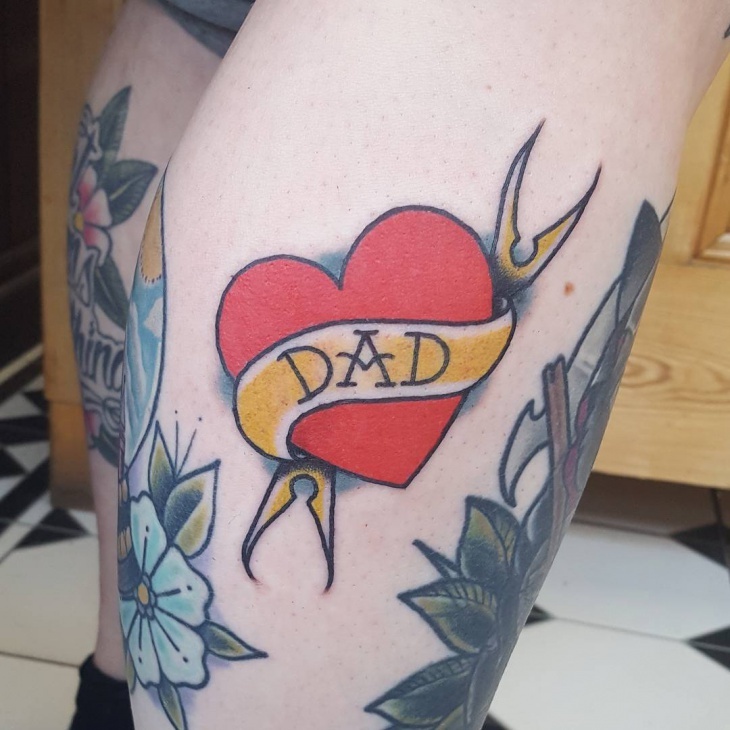 The black and red combination is a perfect blend and the name dad tattooed in calligraphy just makes it look perfect overall. Our fathers will always be our kings and this is the perfect depiction of it. 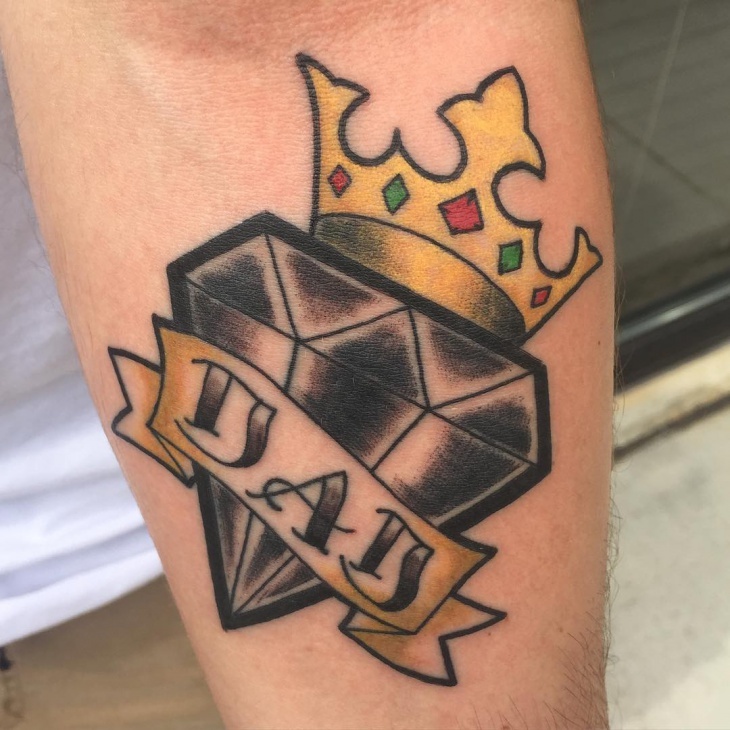 The name dad tattooed on a diamond and the crown on it is the perfect way to tell your dad that he means the world to you. We love the font and the design and the colours used. 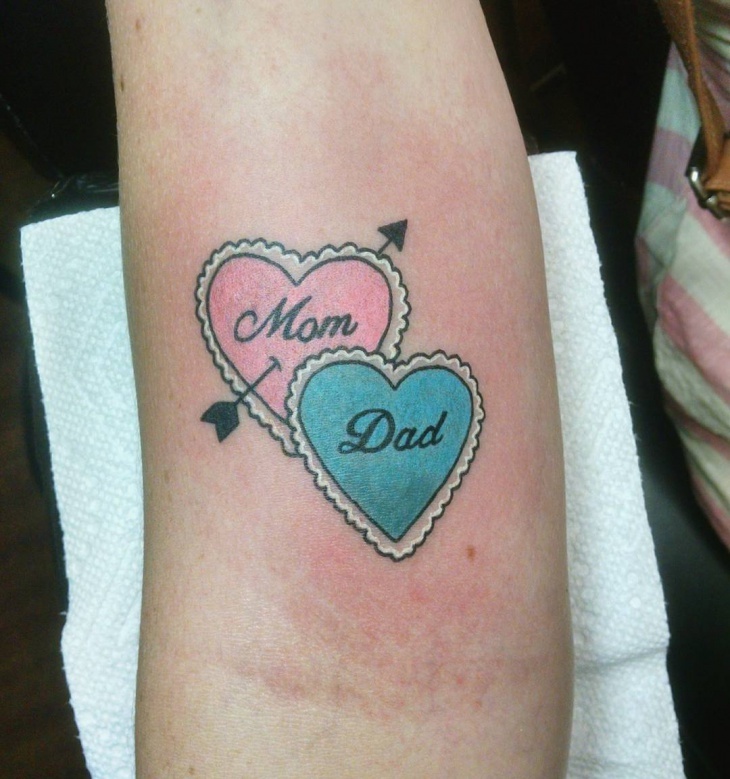 Planning to get a Tattoo done for your loved one? Well well well, here are plenty of options to choose from. We have given you a variety to choose from in terms of design, shade, colour and font.